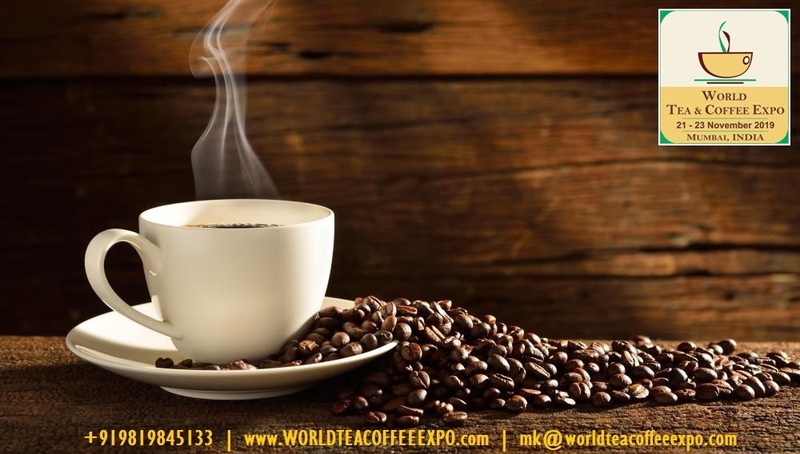 With India becoming a global hub for the tea, coffee and allied sectors – both as a consumer and as a producer – the 7th edition of World Tea Coffee Expo at Bombay Exhibition Centre from 21 – 23 Nov 2019 is set to offer an unparalleled networking opportunity for serious industry players to meet and undertake business as also to understand and determine future trends. The Global RTD (Ready-to-Drink) Tea & Coffee market is continuing to expand and likely to grow at approx 9% through 2022 with major contribution coming from rapidly expanding organized retail chains offering variety of products in innovative and user-friendly packaging. South Asia has seen a considerable upsurge in production, investment in modernization and upgradation of facilities and overall consumption backed by attractive branding/packaging and easy access due to mushrooming of ecommerce portals. With 90+ exhibitors from 8 countries including government pavilions and 4000+ trade visitors, WTCE 2019 will showcase innovative Tea and coffee products/brands, machineries, equipment, packaging, technologies, vending solutions, sugar/sweeteners, biscuits & cookies, flavours, Retail Chains, certifications, Premixes, government boards etc. South Asia’s largest dedicated annual gathering for this industry, WTCE enables mega-deals by identifying market trends, global drivers, challenges, constraints, threats and investment opportunities of the RTD Tea Coffee market and creates awareness on market penetration strategies – both local and global. The Trade show is accompanied by a 2-day high level conference and workshops on last day. In recent times, a host of regional players have initiated national expansion strategies which are supplemented by networking events like WTCE enabling them to find bulk buyers, appoint distributors & agents and create overall branding with smaller marketing budgets. Such players are from Assam, Siliguri, North East, Himachal Pradesh, Nilgiris etc. For small farmers, estates WTCE offers a perfect platform to sit neck to neck with larger players and network with same business associates. International companies have found WTCE as the definite platform for penetrating or expanding their activities across India. WTCE offers huge potential for appointing Distributors, Bulk orders, joint ventures, franchising, networking, knowledge-sharing, meeting government officials, marketing alliances and overall branding to decision makers from India and abroad.